I was lucky enough to be a part of Arielle Jovellanos' #Ham4Pamphlet project, a zine based on the musical that was given to the entire cast and crew when she had a chance to go backstage. 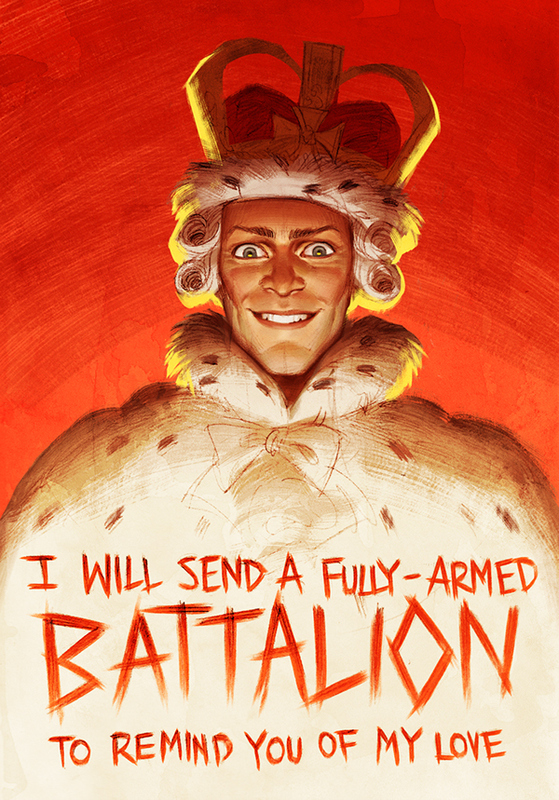 This is my second piece, for King George III's song You'll Be Back. 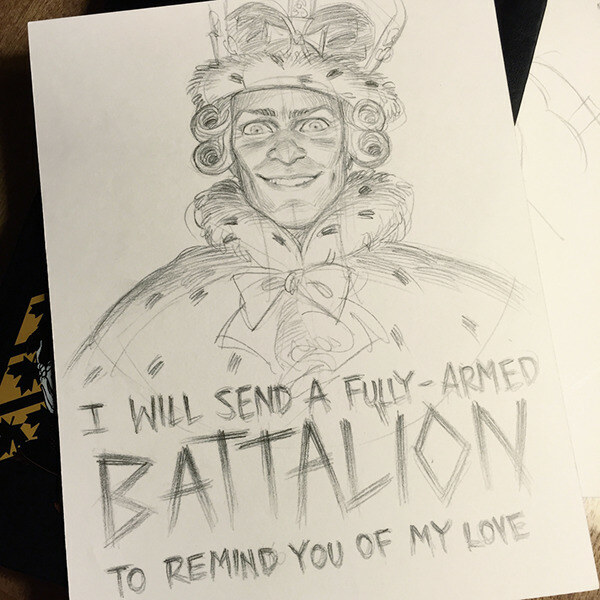 My You'll Be Back piece for #Ham4Pamphlet.